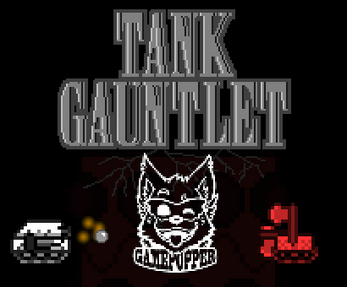 Fight off the red tanks with your own tank through the gauntlet for as long as possible, either by firing its cannon or piercing the metal with a giant knife. The red tanks can vary in strength, but for you it's two strikes and your out. You might find your tank isn't strong enough, so what you can do is sacrifice your tank's controls (weapons or movement) for a speed or attack boost. In the main mode, you need to survive five levels including a boss. Destroying 20 tanks will progress you to the next level. In endless mode, there is no boss, so you go on until you are destroyed. Simply extract the .zip folder and run the executable. Make sure lib files and Asset folders are in the same directory as the game executable. Note: The Linux Build is currently experimental and may not render properly, as found when running on a LinuxVM.